Life is seasonal. In the spring, you invest a lot of time into your yard. This ensures some green grasses and lush landscaping as the winter months turn to warmth. Over the summer months, you make sure to water your lawn often. This offers an extension to the green, lush landscaping that comes from a properly manicured lawn in the springtime. In the fall, you’re probably fond of coasting when it comes to lawn care. And the winter? Snow is going to cover it all up anyway. So you throw a few Christmas lights around the house once all the leaves are raked and you call it a day. Sure, some plants die off during the winter months. But not all do! Shrubs, fruit trees, and hedges all need watering during the winter months. Don’t delay watering your plants in the winter, especially when the temperatures are fairly tolerable. You can save more plants during the winter than you’d ever think – with a little water. Nobody likes raking. It’s important to continually rake leaves during the cold months. This will allow your lawn to “breathe” at all times. Plus, fungus and mold that can grow on leaves when it snows won’t make its way to your lawn. You should NEVER use pesticides and weed killers in the colder months. The grass already has enough struggles in the cold months. You don’t need to add an external one by continually spraying weed killer. It’s important to stop pesticide use once the temperature gets below 55 degrees. It’s common for homeowners to focus on their landscape too much as the months turn cold. One of the biggest Olathe landscaping mistakes we see is lawns being cut too short. If you cut your lawn too short once it gets colder, you’ll run the risk of doing extensive damage if snow or sleet arrives. While you won’t want to manicure your landscape too much as the freeze comes in, you do need to pay a little attention to your lawn. Doing one final fertilizer run in the fall will ensure your grass is green come spring. Just make sure to avoid granular fertilizer during the colder months, as it takes too long to dissolve in cold temperatures. Many things get thrown to the backburner during the wintertime. Snow and sleet can make everyday tasks like getting to work difficult. Plus, certain hobbies are more difficult as times get chilly. Gardening is often an afterthought during our cold months. As Olathe landscapers, we know most people don’t think too much of their plants and greens as the snow starts to roll in. It doesn’t have to be this way. With a little planning and creativity – you can still enjoy your gardening in the winter. Sure, you’ll have to wait a little to see stuff bloom, but it will be worth it. Most plants are simply unable to grow in cold weather. 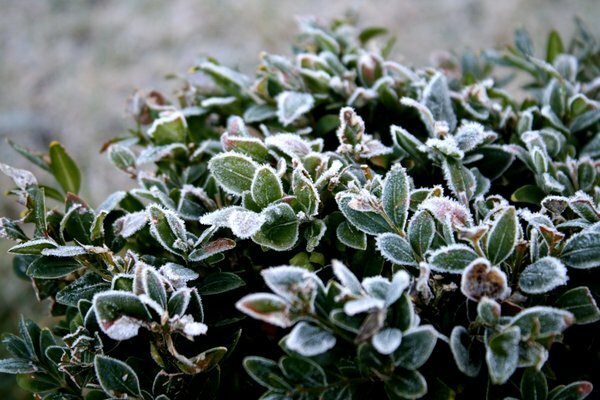 As Olathe landscapers, we know which plants can’t handle the freezing temperatures and which ones can take the cold. The key is picking the perfect plants during the winter. See, during the cold months, many plants die off or go dormant. However, a few plants tend to flourish in the winter months. If you focus on these plants, your garden will continue to grow while the weather is freezing. Some plants that do well in the winter include conifers with a lot of foliage, color-twig dogwoods, and Lenten roses. Planting these winter plants will ensure you garden looks lovely as the snow settles in. Your garden is made up of more than just plants. There are animals, pots, beds, and more that make up your garden. In the winter months, it’s easy to improve the appeal of your garden by sprucing up your containers. Adding colorful pots to your garden in the winter is sure to bring extra cheer. You can use them in combination with the perfect winter plants above for bonus points. This will also help to bring color to your garden during the cold months. Not all birds fly south for the winter. Many will stay in cold areas. You want the birds who stay home for the holidays to visit your garden. They’ll add color and life to an otherwise semi-barren landscape. 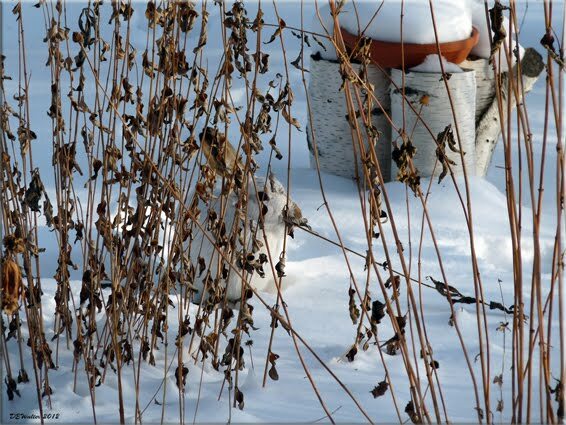 One easy way to attract more birds in the winter is to add a source of water for them. By keeping a warm water source that doesn’t freeze, you’ll draw a number of thirsty winter birds that’ll cheer and chirp up your garden. Last, but not least – you can and should add Christmas lights to your home and possibly your garden area. While you cannot recreate springtime in the colder months, you can still spread a lot of cheer with a few lights around your property.